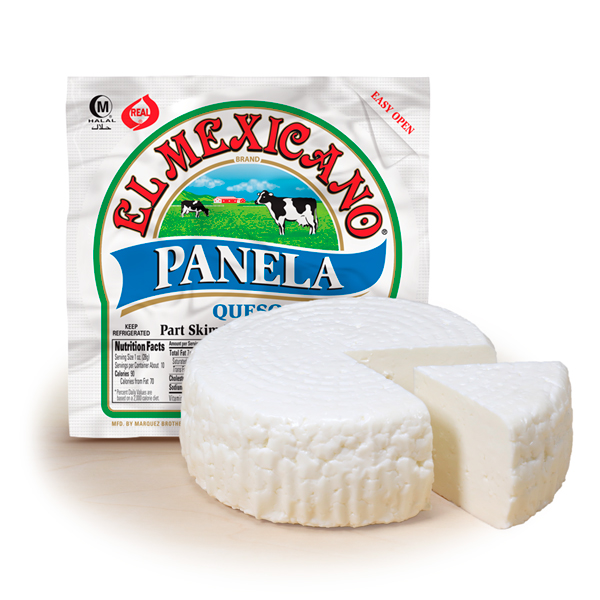 Panela Cheese is a whole milk 100% natural Mexican style cheese panela. 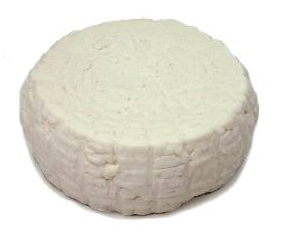 Queso Panela is a soft smooth white mild cheese crombly that absorbs flavors, it is often molded with the imprint of the basket, this is the reason some people call it queso de canasta (cheese of the basket). This queso blanco doesn't melt, its often use as appetizer or snack with crackers. 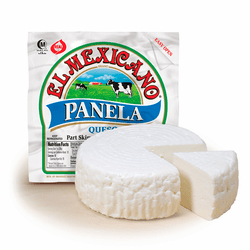 Queso Panela can be a substitute of fresh mozzarella cheese in salads or with tomatoes. El queso panela esta elaborado con leche entera de vaca 100% natural.